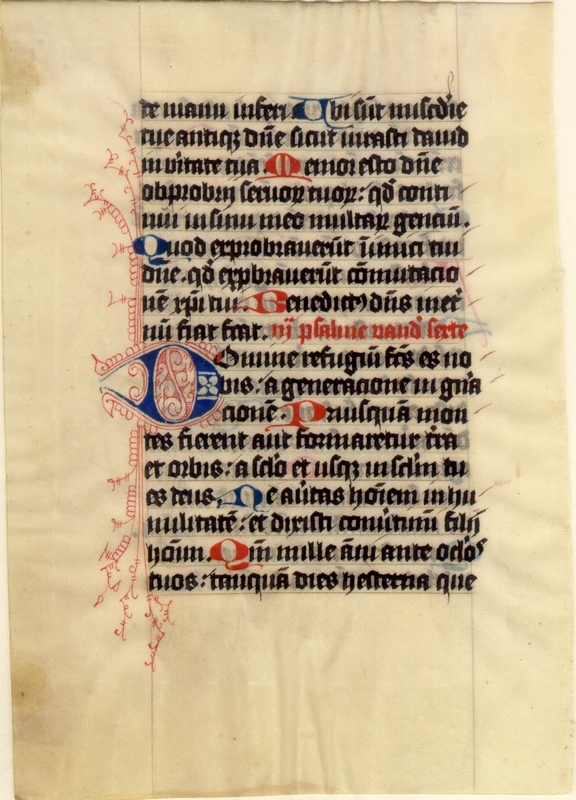 Text: Psalms 88:49-89:4 (verso). A scan of the recto is not currently available. [Psalms 89:1-4] Lord, thou hast been our refuge from generation to generation. 2 Before the mountains were made, or the earth and the world was formed; from eternity and to eternity thou art God. 3 Turn not man away to be brought low: and thou hast said: Be converted, O ye sons of men. 4 For a thousand years in thy sight are as yesterday, which is past.